Inventory Management Software - Invetrak ERP Inventory Management Software. InveTrak ERP is a full-featured inventory management system designed to provide companies with the tools necessary to efficiently manage inventory, procurement, production, kitting/assembly, order fulfillment and warehouse activities. InveTrak ERP's Customer Maintenance screen makes it easy to add and maintain customers. Each Bill-to can have an unlimited number of Ship-to addresses. When interfaced with QuickBooks this feature significantly expands its functionality. This screen can be easily accessed from the order entry screen making customer maintenance and order entry a seamless process. With InveTrak ERP's pop-up and auto-fill features order entry couldn't be easier. Operators have the ability to manage discounts and view the customer's order history right from the order entry screen. InveTrak ERP validates all order data as it is entered. Orders can be entered against any number of warehouses/domains. Once the order has been released, it will automatically print in the appropriate warehouse. When your customers make mistakes, InveTrak ERP provides the features you need to easily manage customer returns. InveTrak ERP supports company policy. When a customer tries to return items that are outside of policy, InveTrak ERP notifies the customer service representative using a color coded key chart. This key chart also tracks and displays the status of the return. Your customer service representatives will never have to question the status of an order again. With InveTrak ERP's real-time inventory tracking and user-friendly order inquiry screens you will always know the exact status of your orders. InveTrak Mobile provides an easy-to-use mobile interface to InveTrak ERP that enables employees to perform their day-to-day activities using RF (WiFi) technology. With the powerful Domain feature, InveTrak ERP enables you to setup and manage an unlimited number of warehouses and production facilities across your local or wide-area network. With Domains, each facility can have total autonomy while, at the same time, interfacing with each of the other facilities. InveTrak ERP manages employees, items, warehouse locations, customer orders, purchase orders, and production at the Domain level. It is even possible to create multiple domains within a single warehouse. This is especially useful for third-party service providers. InveTrak ERP's inventory locator system enables you to map out your entire inventory locator system. You'll be able to specify the pick paths within your warehouse and automatically print location labels for each of the locations entered. Setting up locations in InveTrak is a simple and painless process. InveTrak ERP's inventory inquiry screens provide inventory balance, usage, and available to promise information. You'll be able to view inventory by location and license plate number and you'll also have full lot and serial traceability. With one simple and easy to use screen operators will be able to receive inventoried, non-inventoried, and RMA items. When your suppliers fail to bar code / label your product, with a click of a button, InveTrak ERP will print the appropriate labels for you. Orders are picked quickly and accurately using either the workstation pick screens or the Mobile pick screens. InveTrak ERP validates all transactions as they are processed. 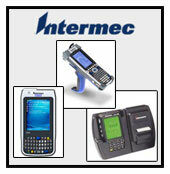 InveTrak ERP provides full Lot and Serial Number Control. When setting up Items in InveTrak, you specify whether the item is Lot and/or Serialized. Once an item has been specified as requiring Lot and/or Serial Numbers, InveTrak ERP will require valid Lot Numbers and Serial Numbers to be entered. InveTrak automatically assigns FIFO dates to new lot numbers as they are entered. The Lot Maintenance screen makes it possible to edit FIFO dates and Expiration Dates. Full Lot and Serial traceability is provided. Using the Lot Expiration Report you can specify the number of days in which you would like to analyze. InveTrak ERP will display all product that is going to expire within the number of days you specified. InveTrak ERP will also prevent you from shipping or using outdated product. InveTrak ERP's License Plate features enables you to easily manage multiple products, serial numbers, or lot numbers on one transport device. That transport device could be a pallet, tote, bin box, cart, etc. Once a license plate has been assigned to a transport device, all items contained in that device are automatically tracked when the transport device is moved from one location to another. This feature is extremely effective when managing serialized items. You could have a tote with many serialized items in it. When you move the tote from one location to another, you only have to scan the license plate and the location they are moving it to. InveTrak automatically performs the transactions necessary to move all of the serialized items into their new location. When processing shipments, InveTrak ERP generates professional looking packing lists that displays your company logo and a detailed breakdown of the products contained in the shipment. Optional shipping labels can be printed along with the packing list. Shipment Confirmation data is collected at the end of the process. Scheduling your production in InveTrak is a simple task. Using the production scheduling screen and the various production reports, you'll be able to effectively manage your production operations. Production schedules are analyzed by the forecasting module. Schedules are automatically updated and closed as product is produced against them. When creating production work orders, InveTrak ERP calculates and compares the required inventory to available inventory. The operator is informed of any shortages before the work order is released. Once work orders are released and picked, inventory is moved into Work-in-process (WIP). InveTrak keeps track of WIP inventory and automatically back-flushes the inventory when work orders are closed. The Work Order Build screen is used to produce the finished product, putting it into inventory. If the product is a serialized or lot controlled product, InveTrak ERP automatically assigns the appropriate lot numbers and/or serial numbers. You also have the option to print item specific product labels and outer carton labels as the product is produced. InveTrak ERP keeps track of your WIP inventory. Using the Inventory Inquiry screen and WIP Inventory reports, you'll know exactly what you have in WIP at all times. With InveTrak ERP's powerful Min/Max Calculator you'll be able to accurately calculate and set minimum and maximum inventory replenishment levels. The Min/Max Calculator gives you the option of using one of 3 different usage periods as your basis for the calculation. It takes into consideration usage, lead time, and the number of weeks inventory you wish to maintain. There will be no more guessing where your minimum and maximum levels should be set. InveTrak provides an extremely intuitive Inventory Forecast report that will help you to maintain minimum inventory levels while, at the same time, avoiding stock-outs. This report, along with the Planner's Workbench, makes planning our inventory a breeze. InveTrak ERP's Planner's Workbench provides all the tools a buyer-planner needs to project and avoid stock-outs and manage Min/Max inventory levels. The Planners Workbench projects and identifies insufficient inventory conditions before they happen. You have access to Purchasing, Production Scheduling, and the Min/Max Calculator directly from the Planners Workbench. With the Planners Workbench, you'll have everything you need to effectively manage your inventory levels. InveTrak ERP provides a simple and easy to use Purchase Order entry screen that will enable you to create purchase orders and effectively communicate with your suppliers. InveTrak ERP's purchase orders support both one-time deliveries as well as scheduled or blanket deliveries. You can even coordinate drop shipments to other service providers/suppliers. InveTrak ERP helps you keep tight control over your item master records and bills-of-materials. With the Item Master and Bill-of-Materials Maintenance screens you will be able enter and edit item data while at the same time maintaining revision control. InveTrak not only provides revision level control, it also maintains a secured historical record of prior configurations / revisions. InveTrak ERP supports unit, liquid, weight, and linier units of measure. Our UM conversion feature automatically creates conversion factors for just about any conversion you'll ever need to perform. InveTrak ERP comes preloaded with over 40 different unit of measure conversion factors. Watch our virtual demonstration to gain a better understanding of just how powerful this feature is. InveTrak has been designed to work with NiceLabel Pro. This enables you to use one of the leading bar code label design tools on the market. With NiceLabel Pro, you can design any and every kind of label you'll ever need. Once you've designed your labels the next step is to register the label template in InveTrak. The registration process tells InveTrak ERP how, where, and when to use the label template you've created. InveTrak ERP handles everything else from this point on. There will be no more guessing which label formats to use. InveTrak ERP provides a multitude of powerful management reports to support your decision making process. You'll have Customer Service Reports, Inventory Reports, Planning Reports, Production Reports, and Financial Reports. You'll even have the ability to export your reports to Excel.